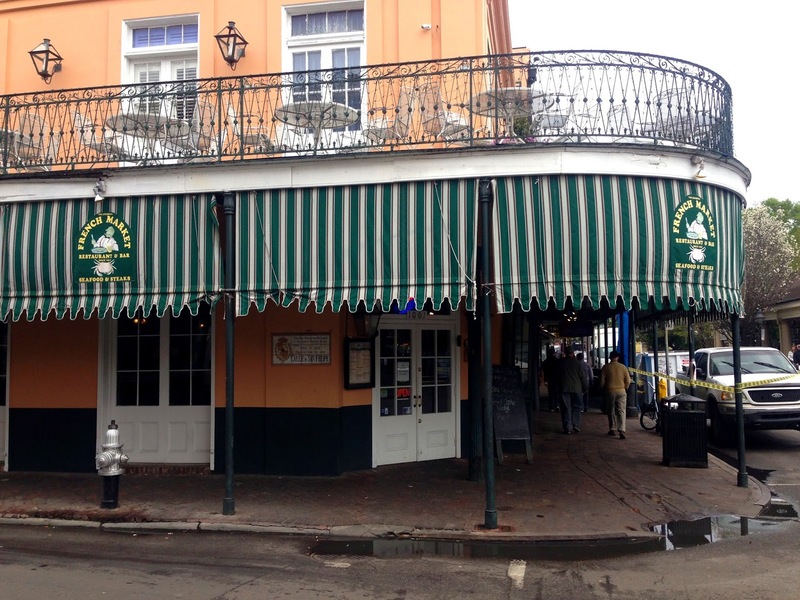 Some of the buildings, including the space occupied by the Cafe Du Monde, date back to 1813, after the previous structures were destroyed in an 1812 hurricane. 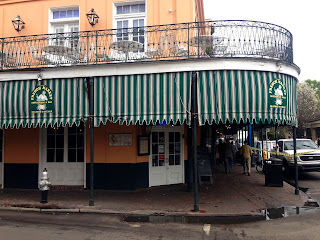 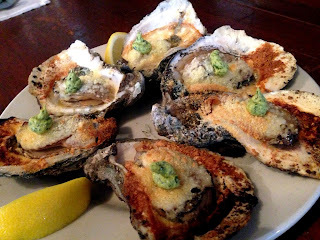 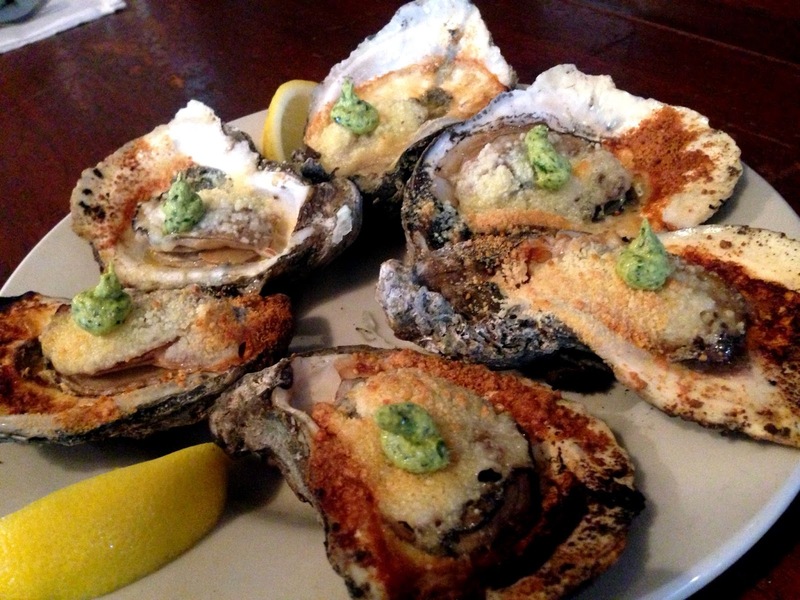 Whatever the history of the French Market Restaurant, it draws in tourists with a giant vat of crawfish steaming in the front window, and a menu full of Cajun and Creole dishes with an emphasis on seafood. 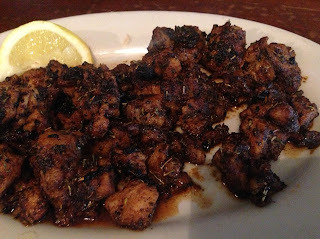 This was our last bar and restaurant stop of this trip to New Orleans and it concluded nicely with the blackened alligator.